The Nikon D3000 was released in 2009 as an entry-level model in Nikon’s DSLR lineup. Nikon knows that first impressions matter and created a very capable beginner-level camera as the perfect introduction to the Nikon brand. Over the years, there has been a steady progression and evolution of entry-level Nikon cameras battling hard against Canon. But, in recent years, Nikon also faced stiff competition from mirrorless cameras that offer a myriad of new options for photographers ready to embrace cameras with interchangeable lenses. Faced with strong competition, Nikon had no other choice but to innovate. As a result, Nikon introduced the D3300, D3400, and the newest D3500 that are, arguably, the best entry-level DSLRs ever made. To give an example, the Nikon D3400 is comparable to mirrorless models with its smaller body, an incredible battery life of 1,200 shots, and image quality that is yet to be seen in entry level cameras. Did I mention that they also cost less than ever before even without adjustment for inflation? What this means is that if you selected Nikon as your first camera with interchangeable lenses, you made the right choice. As a Nikon D3400 or D3500 camera owner, one of the most critical decisions you will have to make is selecting the right lenses. All entry-level Nikon models come with the kit 18-55mm lens, which is a decent all-purpose lens. 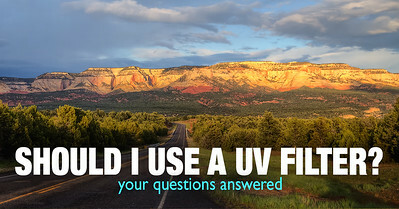 But, to get the most out of your Nikon camera sensor, you will need better lenses. Nikon makes DSLR cameras with two different sensor sizes—a Full Frame (FF) sensor and a Cropped Sensor (APS-C). The full frame sensor is comparable in size to 35 mm film and the APS-C senor is 1.5 times smaller. The reason the APS-C camera models are so popular among beginners is that the smaller sensor gives the option to build a much smaller camera at a more affordable price. Nikon lenses for the APS-C or cropped sensor camera have the DX lens mount and Nikon lenses for the full frame camera have the FX lens mount. Here is an important caveat. You can use FX lenses that are designed for full frame cameras on your Nikon D3300, D3400, or D3500 and they will be fully functional. But, I advise against it. FX lenses are much bigger and more expensive compared to DX models and they do not perform as well on APS-C cameras. My advice is to always buy lenses that are designed specifically for a DX lens mount camera. All three camera models have different specifications and slightly different bodies, but what is most important is that they all use the same DX lens mount. This means that the lens selection available for all three models is identical. Today, I will share a selection of five lenses that are ideal for covering almost any shooting scenario you will encounter. The way I identify the best travel lens for any camera model is by asking myself this question—“If I was going on a two- to three-week trip and I had room for only one lens, what lens would I pick?” For the Nikon D3300, D3400 or D3500, the answer is easy—the versatile Nikon 18-140 mm F3.5-5.6 lens. 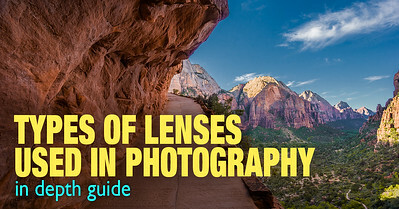 If you enjoy landscape photography as I do, you definitely need at least one wide-angle lens. Normally, the selection of wide-angle lenses for cropped sensor cameras is limited because of the 1.5 crop factor that makes it more difficult to design and build a functional lens. Fortunately, Nikon photographers can benefit from third-party lenses from companies like Tokina. My favorite wide-angle lens for the Nikon DX mount is the Tokina 11-16 mm f/2.8. You cannot go wrong with this lens since it is reasonable priced and well-built. 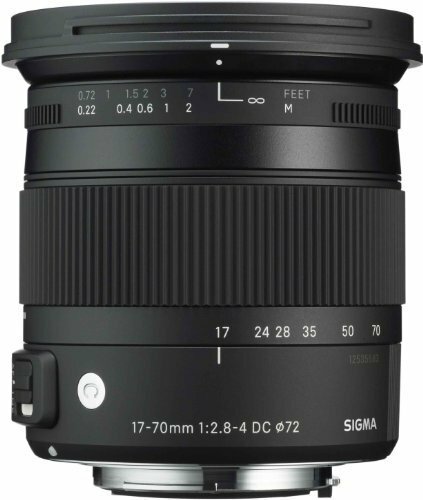 I consider the Sigma 17-70 mm to be the best all-around lens, which is also an ideal replacement for a kit lens. I used it for years and consider the Sigma to be the most versatile lens for every beginner. It has an amazing build quality, a useful focal range, macro capability, and it produces great image quality at an affordable price. 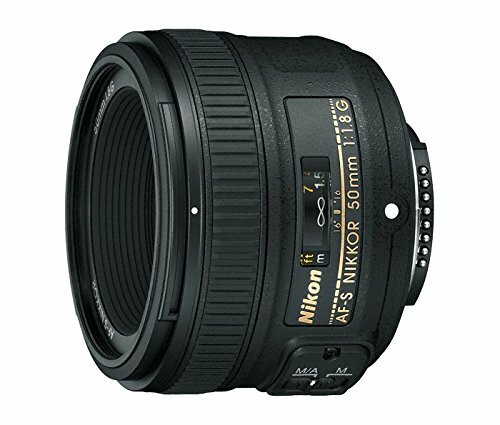 The Nikon 50 mm is probably one of the most unique Nikon lenses available. It is one of the cheapest, smallest, and lightest lenses on the market and it produces an amazing quality image. Plus, it was specifically designed for both FX and DX mounts. 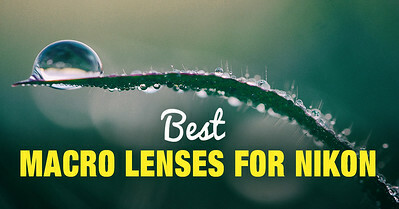 This makes it a must-have lens. Normally, good telephoto lenses are big, heavy, and expensive, which makes them unaffordable and out of reach for most beginners. 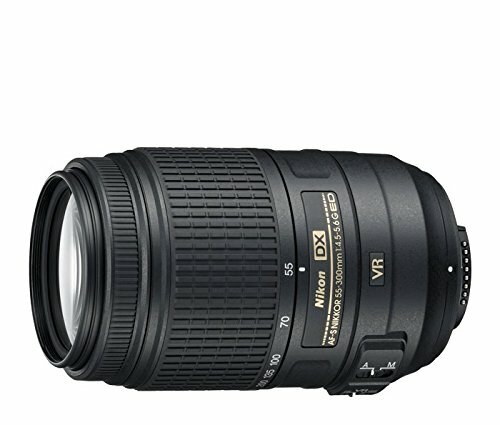 Somehow, Nikon managed to strike a perfect balance between size, quality, and price when they designed the Nikon 55-300 mm F4.5-5.6 VR. This is the best entry-level telephoto zoom lens for a DX mount. The Sigma Contemporary lenses for APS-C cameras are made for those who want better optical quality than the kit lens without breaking the bank. The idea behind the Sigma 17-70mm f/2.8-4 OS Macro lens is to give you a wider angle of view at 17mm, more zoom at 70mm and a brighter aperture than a standard kit lens. Also with the Sigma 17-70, you can enjoy macro photography. The lens can focus extremely close to your subject. The Autofocus is fast and accurate in most case scenarios. As far as picture quality, the Sigma 17-70mm looks very sharp in the middle of the image and softer at the corners. The sweet spot is at 35mm f/8 providing good colors and contrast. In addition, it has very effective image stabilization but, but it doesn’t handle tilting and panning in the smoothest way when filming video. 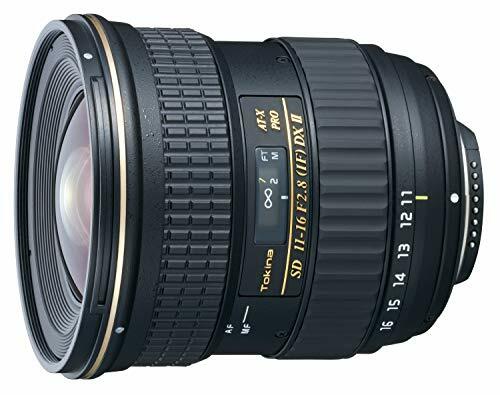 The Tokina 11-16mm wide-angle lens is designed for crop-sensor cameras, including Nikon DX mount. It is popular among photographers and videographers for having outstanding optical quality, design, and affordability. It is well built with the smooth zoom and focus rings. The lens comes with the lens hood. The lens is the perfect solution for photographers who want to shoot wide-angle. No matter if you’re out in the field taking landscape photos or in narrow spaces indoors, the Tokina 11-16mm will give you a much wider angle of view than any other standard zoom lens. in some situations, with the high contrast the chromatic aberration in the corners can be pronounced. But the aberration can be easily fixed in post-processing. If you like images with the soft and smooth bokeh with nice and blurry backgrounds, this lens is not for you. It is not designed for this purpose. 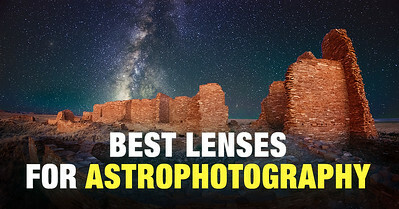 This lens is fantastic for landscapes, long-exposure night shots, and architecture. At night, you can take better quality images with less noise due to its bright f/2.8 constant aperture. It is an amazing choice for those who want to advance their skills and quality of work. The Nikkor 18-140mm is a DX format lens with the extended zoom reach which equals to 27-210mm on a full frame sensor. It has a very confident and accurate Autofocus making it suitable not only for static shots like landscapes but for fast moving objects as well. It is a perfect lens for different scenarios of travel photography. Nikon’s best “nifty-fifty” lens is the 50mm f/1.8G. It is one of the most versatile prime lenses and a perfect fit for shooting people. The focal length of 50mm on Nikon crop-sensor cameras is equivalent to 75mm on a Full Frame. It is the perfect focal length for portraiture and more than enough to separate the background from the subject when the aperture is wide open at f/1.8. The Nikon 50mm F1.8G has one aspherical element and a rounded 7-blade diagram for smooth background bokeh. Furthermore, the lens has a confident and quick Autofocus. The Nikon 50mm “G” model has a built-in silent wave motor which allows the lens to focus more quietly compared to the older “D” model. The number one reason to get the Nikon 50mm is the price. In comparison to other Nikon lenses, it is relatively inexpensive and suitable for a wide variety of subjects. The second reason you should own this lens is its size. It is more compact and takes less space in your camera bag than any other prime or zoom lenses. 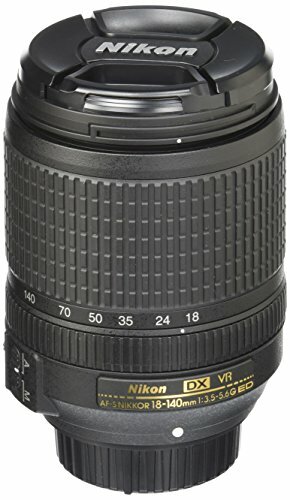 The Nikon 55-300mm is a fantastic telephoto lens at a killer price designed for travel and landscape photography. The lens has a silent wave motor Autofocus system and extremely effective image stabilization. The detail you get hand holding it is just amazing. It uses latest Nikon’s VRII image stabilization which has a tripod detection mode that reduces any vibration from shutter release when it’s on a tripod. Colors are rendered accurately with the excellent contrast even at the widest aperture. You get good, crisp shots. The lens is compact for a 300mm and it’s lighter than the Nikon 18-200mm. In low light, focus hunts a bit, but that’s expected. This lens is great for birds and wildlife as well as sports or any situation where an extended zoom is required. Clear images, a solid build and not as heavy as you would expect – it takes photography to a whole new level. Although listed as a DX, it works perfectly well with Nikon’s FX series of cameras.